Our team is pleased to welcome you to the ibis Golfe de Saint-Tropez hotel. Individuals, couples and groups of friends can all enjoy our ideal location near the famous town of Saint-Tropez. Located in the heart of the Gulf of Saint-Tropez, between the sea and vineyards, our hotel welcomes you to Cogolin. An ideal base for discovering Saint-Tropez 5 miles (8 km) away, Grimaud, Gassin or the magnificent Pampelonne beach, this 3-star hotel offers modern and comfortable rooms, a 24-hour bar and two modular meeting rooms for your professional engagements. Gastronomy, sports and relaxation, for couples or friends: live the Mediterranean lifestyle with ibis. The hotel's geographical location means you can get to various beaches by car, as well as Port Grimaud (known as the Venice of Provence) and Gassin (considered one of the most beautiful villages in France). The ibis Golfe de Saint-Tropez can be reached by car from the A8 highway or from Toulon-Hyères airport, which is 31 miles (50 km) away. We have 83 non-smoking rooms with air conditioning, a seasonal swimming pool and a terrace where you can quench your thirst after a sunny day on the Côte d'Azur. Great hotel, clean and welcoming. Good parking, friendly staff, decent rooms. Big minus no kettle in the room. Otherwise very good. Good location, very clean and comfortable, friendly and helpful staff. Good parking. We enjoyed our experience. The room was clean, comfortable and well appointed. One thing that marred our stay was the very poor wifi coverage. It was out more than it was available over our one night. Great receptionist. Nothing too much trouble. Wonderful stay, staff delightful. The only thing that we feel could be improved would be to have more towels. Unfortunately the towels didn't dry between evening and morning showers. A small complaint but maybe something to consider. Holes in bed line. I had to turn the mattress myself as no one head clearly done it for a very long time. I was lying in a dip. No kettle or coffee. But good tv. And clean. Always a simple and straight foward stay at tbis hotel. Everything works as it should do. Staff were excellent throughout the stay. Breakfast was super, and the rooms clean. Nice hotel,clean and staff helpful. Mattress in the room wasn’t great and needs changing. No nonsense, and no frills. The air in the bathroom smelt of drains, as I suspect the door had been left closed for a long time. Clean and comfortable, plus a friendly staff. 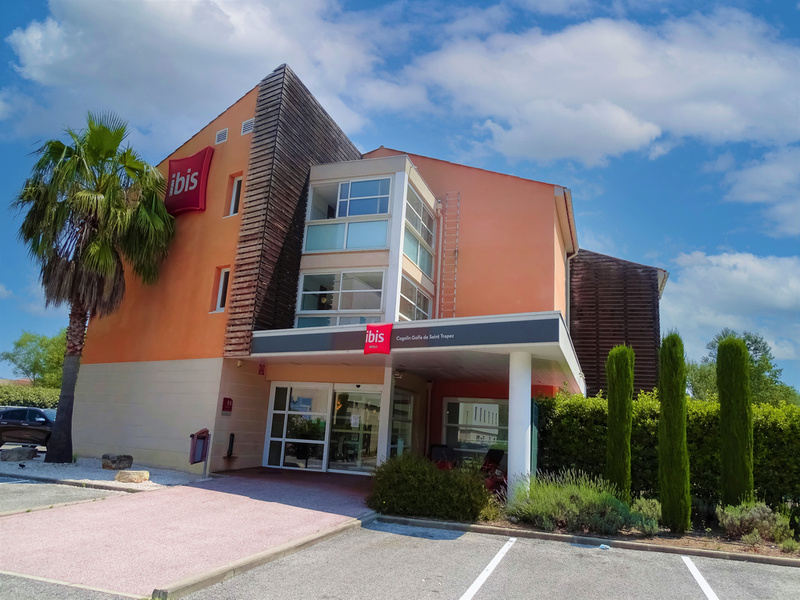 A very good overnight hotel, set in a quiet location not too far outside of St Tropez, The room was what we expected for an Ibis hotel - clean and comfortable (less than 20 sqm). Hotel is 15 minutes away from the port by car. Good value for money. Comfortable bed. Fine Staff.